Match ends, Paris Saint Germain 1, Toulouse 0. Attempt saved. 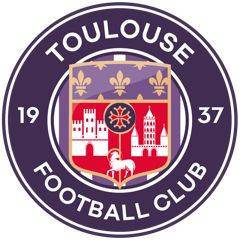 Kelvin Amian (Toulouse) right footed shot from outside the box is saved in the centre of the goal. Assisted by Steven Moreira. Second Half ends, Paris Saint Germain 1, Toulouse 0. Corner, Toulouse. Conceded by Thiago Silva. Offside, Paris Saint Germain. Marquinhos tries a through ball, but Edinson Cavani is caught offside. Foul by Christopher Jullien (Toulouse). Attempt blocked. Christopher Nkunku (Paris Saint Germain) right footed shot from outside the box is blocked. Attempt missed. Eric Maxim Choupo-Moting (Paris Saint Germain) right footed shot from the centre of the box is too high. Assisted by Dani Alves with a through ball. Christopher Nkunku (Paris Saint Germain) hits the bar with a right footed shot from the centre of the box. Assisted by Dani Alves. Foul by Christopher Nkunku (Paris Saint Germain). Offside, Paris Saint Germain. Adrien Rabiot tries a through ball, but Eric Maxim Choupo-Moting is caught offside. Foul by Manu García (Toulouse). Attempt missed. Presnel Kimpembe (Paris Saint Germain) left footed shot from outside the box is high and wide to the left. Assisted by Ángel Di María. Foul by John Bostock (Toulouse). Offside, Toulouse. Steven Moreira tries a through ball, but Firmin Ndombe Mubele is caught offside. Substitution, Paris Saint Germain. Christopher Nkunku replaces Julian Draxler. Foul by Dani Alves (Paris Saint Germain). Attempt blocked. Issiaga Sylla (Toulouse) left footed shot from outside the box is blocked. Attempt saved. Firmin Ndombe Mubele (Toulouse) right footed shot from a difficult angle on the left is saved in the centre of the goal. Assisted by Max-Alain Gradel. Corner, Toulouse. Conceded by Presnel Kimpembe. Attempt missed. Christopher Jullien (Toulouse) left footed shot from the centre of the box is close, but misses the top left corner following a set piece situation. Substitution, Toulouse. Firmin Ndombe Mubele replaces Aaron Leya Iseka because of an injury. Delay in match Aaron Leya Iseka (Toulouse) because of an injury. Foul by Marquinhos (Paris Saint Germain). Substitution, Toulouse. John Bostock replaces Kalidou Sidibe. Foul by Presnel Kimpembe (Paris Saint Germain). Substitution, Paris Saint Germain. Eric Maxim Choupo-Moting replaces Marco Verratti. Substitution, Paris Saint Germain. Dani Alves replaces Thomas Meunier. Substitution, Toulouse. Jimmy Durmaz replaces Mathieu Dossevi. Corner, Toulouse. Conceded by Marquinhos. Attempt missed. Kalidou Sidibe (Toulouse) left footed shot from outside the box is close, but misses the top left corner. Attempt blocked. Manu García (Toulouse) right footed shot from outside the box is blocked. Corner, Paris Saint Germain. Conceded by Issiaga Sylla. Corner, Paris Saint Germain. Conceded by François Moubandje. Attempt missed. Thomas Meunier (Paris Saint Germain) header from the right side of the six yard box is just a bit too high. Assisted by Ángel Di María with a cross following a corner. Second Half begins Paris Saint Germain 1, Toulouse 0. First Half ends, Paris Saint Germain 1, Toulouse 0. Attempt missed. Manu García (Toulouse) right footed shot from outside the box misses to the left following a corner. Attempt saved. Max-Alain Gradel (Toulouse) right footed shot from outside the box is saved in the top centre of the goal. Assisted by Manu García. Corner, Toulouse. Conceded by Gianluigi Buffon. Attempt missed. Max-Alain Gradel (Toulouse) right footed shot from the centre of the box is too high. Assisted by Mathieu Dossevi with a cross. Foul by Ángel Di María (Paris Saint Germain). Foul by Julian Draxler (Paris Saint Germain). Foul by Max-Alain Gradel (Toulouse). Corner, Paris Saint Germain. Conceded by Christopher Jullien. Offside, Toulouse. Kalidou Sidibe tries a through ball, but Aaron Leya Iseka is caught offside. Corner, Toulouse. Conceded by Thomas Meunier. Foul by Marco Verratti (Paris Saint Germain). Attempt missed. Ángel Di María (Paris Saint Germain) left footed shot from outside the box is high and wide to the left. Attempt blocked. Manu García (Toulouse) right footed shot from outside the box is blocked. Assisted by Kalidou Sidibe. Offside, Paris Saint Germain. Thiago Silva tries a through ball, but Edinson Cavani is caught offside. Corner, Paris Saint Germain. Conceded by Aaron Leya Iseka. Foul by Aaron Leya Iseka (Toulouse). Attempt missed. François Moubandje (Toulouse) left footed shot from outside the box is too high. Assisted by Manu García. Foul by Thomas Meunier (Paris Saint Germain). Goal! Paris Saint Germain 1, Toulouse 0. Edinson Cavani (Paris Saint Germain) right footed shot from the centre of the box to the bottom left corner. Assisted by Adrien Rabiot with a headed pass. Attempt saved. Ángel Di María (Paris Saint Germain) left footed shot from the right side of the box is saved in the centre of the goal. Offside, Paris Saint Germain. Ángel Di María tries a through ball, but Edinson Cavani is caught offside. Hand ball by Max-Alain Gradel (Toulouse).